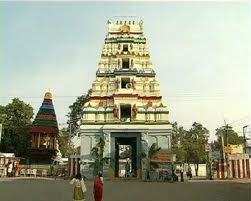 Here is Some Information about Amareswara(Shiv) Temple in Amaravati Andhra Pradesh India. 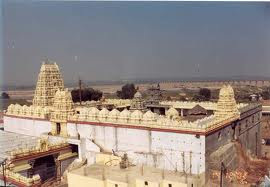 The Amaravati Amareswara Temple is located in the Guntur district of Andhra Pradesh. This important pilgrimage centre thrives on the bank of the sacred Krishna River which flows along this town. 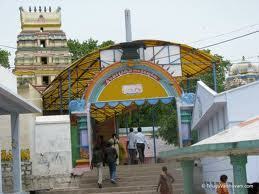 You are sure to enjoy a visit to this temple which is thronged by a large number of devotees’ everyday. 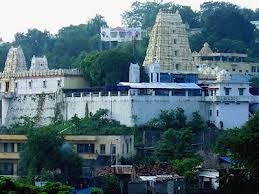 The Amareswara (Shiva) temple is 46 km form Vijayawada .The walls have lot of inscriptions that give information about the kings who ruled over the area. 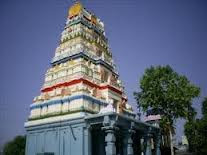 The present holy shrine of Amaralingeswara (Lord Shiva) temple is associated with the reign of Vasireddy Venkatadri Nayudu who ruled the region before the advent of the British rule . People around Amaravati widely believe that the temple was constructed to install peace after a massacre of 1000 violent tribesman plotting against the king in a sinister carnival organized to capture them. 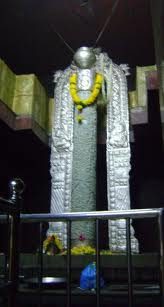 Later Venkatadri Nayudu built a temple in the same spot upon guidance from scholars of his court. He was well-known for his benevolence , munificience and construction of a large number of temples and education centers in the Krishna river delta.The shrine embraces a 15 ft high marble Shiva lingam. It is believed that Lord Siva is present here in the form of five lingams -Pranaveswara, Agasteswara, Kosaleswara, Someswara and Parthiveswara. According to Skanda Purana tells the story of the temple. The Sthalapurana for the temple tells an interesting story. At the end of Dwaparayuga 5053 years ago, Maharshi Narada was asked by the Sounakadi rishis as to the best means to obtain liberation. 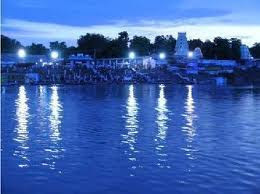 Narada told them that as Lord Krishna had created the river Krishna, so had he advised the rishis to live near the river and bath in its holy water to attain salvation. If a devotee remains in this area for more than three days and worships Lord Amareswara with devotion after a dip in the holy river he will attain the Sivaloka. If a devotee dies here, he will be absorbed into Lord Siva. There are many more legends from the Kshetra Mahatmyam and the Kshetramurthy Mahatmyam. Once there was a town called Dhanyakatakam or Varanasi. The legend says the demons defeated the gods after being awarded a boon by Lord Siva. Shiva vowed to kill the demons and hence the gods came to reside here and since then the place came to be called Amaravati. 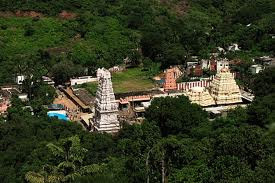 The Lord Amareswara is worshipped here with his consort Bala Chamundika who is considered as the fourth of the 18 goddesses. There are other minor deities in the temple. This ancient temple is dedicated to Shiva and enshrines a 15 feet high white marble lingam and is surrounded by massive walls with towers. The temple stands close to the Krishna River. The origin is shrouded in mystery, though there are many legends in the Puranas. 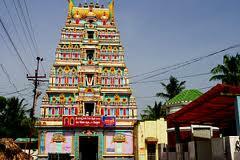 The temple is surrounded on four sides by towering gopuras in Dravidian style. The vimana is also in the same style. Legend says that the temple was originally Buddhist and was adapted for Hindu worship. Hence the foundations are laid in Buddhist style. The mula virat in the sanctum one can still find a white marble lotus medallion made in ornate style of the early Buddhist sculptors. The mula virat is a vertical cylinder made of white marble as found in Buddhist monuments. 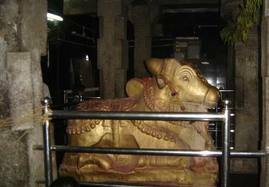 The linga is 15 feet tall, another legend states that this was originally the Ayaka Stambha or an Ayaka pillar, and which was later consecrated as a symbol of the Sivalinga. The temple is a perfect example of the Dravid style. The gopuras came into prominence only during medieval times and no stone epigraph is found before the 11th century suggesting its late origin. There is a wealth of inscription on its walls by Kota chiefs of Amaravati, and one by Krishandevaraya on the erection of a mantapam here. On a pillar in the Mukhamantapa the wife of Proli Nayudu, dependent of Koppara Kesanivarma, has left an inscription. By Air: The Neraest local Airport is Vijayvada and International Airport is Chennai or Hyderabad. By Rail: Amaravathi comes under the Hyderabad-Vijaywada and Hyderabad-Guntur line. However, the Vijayawada Junction is the closest one and the main junction. By Road: Amaravathi is well linked with Guntur by road. Private, government buses and cabs take the people to Amaravathi from Guntur on a regular basis. The town is also well connected to the state capital, Hyderabad. It is situated at a distance of 505 KM and takes just seven hours to reach there from Amaravathi by road. The nearby towns of Amaravathi include Thullur at 9.6 KM, Tadikonda 16.8 KM and Pedakurapadu 17.7 KM. So, there is no need to worry about the question how to reach Amaravathi.